Big results are usually misleading. 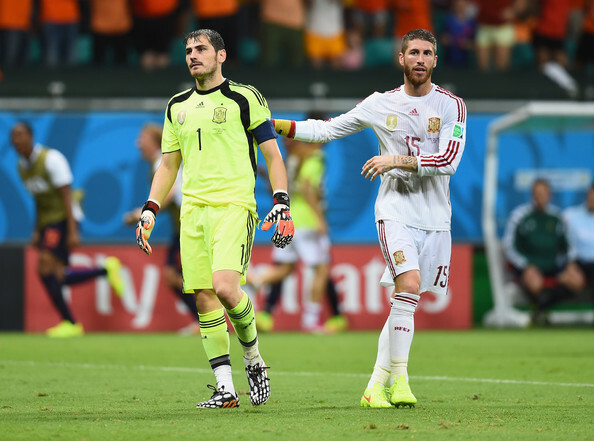 Spain aren’t four goals worse than the Netherlands, and Iker Casillas, along with Sergio Ramos and Gerard Pique, isn’t as bad as their 90 minute fiasco. However, for Spain to somehow get over this extreme setback and still have something to play for in the World Cup, some decisions, like stopping this hybrid style forced upon them by Diego Costa, need to be made by Vicente del Bosque. Tiki Taka is dead seems to be a very popular phrase this year. A season in which parking the bus or simply relying on speed and physicality has triumphed possession based football all over Europe at almost every major intersection. Still, it doesn’t mean that everyone should play the same way, or that Spain, built to keep the ball at their feet and not play like they’re Liverpool or Dortmund, need to completely change everything they know about football. Diego Costa is a good striker, but he doesn’t fit the Spanish system. He isn’t a player who thrives in this kind of passing style. He needs more long balls and crosses, something Spain hardly do. When it comes to choosing between what works for Costa and what works for everyone else, it’s clear that giving up on the Brazilian who is getting booed like crazy in this World Cup, not to mention losing his cool and a walking potential red card waiting to happen, is a good idea for next match. No striker or using Pedro or David Villa up front should be the better choice. Not because they’re better players, but because Spain need to get back to what works. Their Barcelona trio of midfielders aren’t in very good shape. Gerard Pique and Sergio Ramos were exposed in all of their (lack of) speed. Going back to basics, which means possibly boring the [email protected]# out of spectators by slowly moving the ball but making sure their defense is far less exposed seems to be the only way of regaining their confidence after such a shell shocking experience. 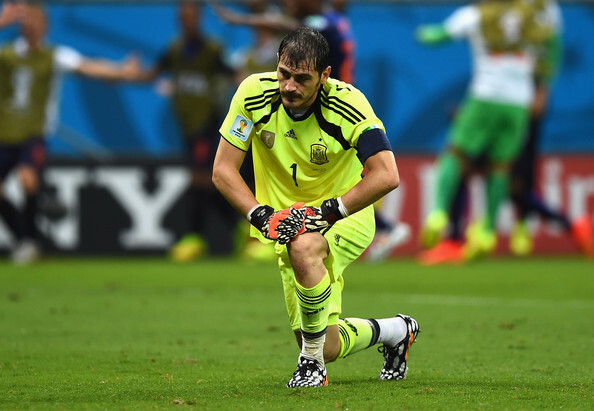 And what of Iker Casillas? Maybe two managers like Carlo Ancelotti and Jose Mourinho knew what they were doing? Casillas took over for Diego Lopez at some point during this season, and no one said a word about him being old or washed up as Real Madrid won the Copa Del Rey and the Champions League, with Casillas providing some excellent work between the goal posts. He has made mistakes with his rushing out and positioning, but nothing quite disastrous as his performance against the Netherlands. But David de Gea isn’t a better goalkeeper. He doesn’t connect as well with the defense and doesn’t have the influence Casillas has. Completely reshuffling the deck isn’t exactly the way Del Bosque works, and it shouldn’t be. Spain got here with a certain kind of football paving the way. It might not be as good as it once way, but the players and style are still capable of delivering results, and providing a much better performance than the humiliation against the Dutch.